Each conditioner is designed to nourish and strengthen different types of hair. For normal to fine hair. 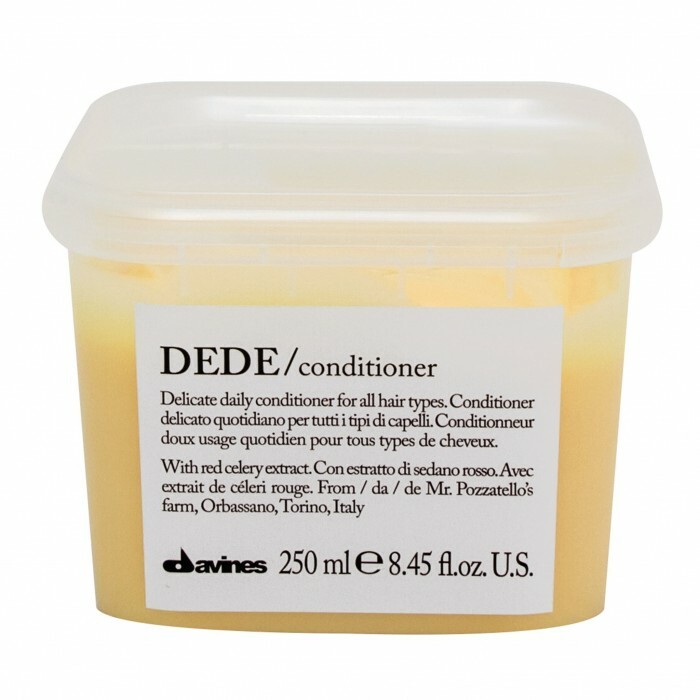 Moisturizing but lightweight, DEDE conditioner hydrates and detangles hair without weighing it down, making it an ideal pick for daily use in maintaining healthy hair. Hair is shiny, easy to detangle and hydrated. Red celery extract is sourced from the farm of Mr. Giancarlo and Mr. Doriano Pozzatello in Orbassano, Turin, Italy as part of Slow Food Presidium. Full of mineral salts and high in water content, red celery is nourishing and cleansing. For dry, frizz-prone hair. 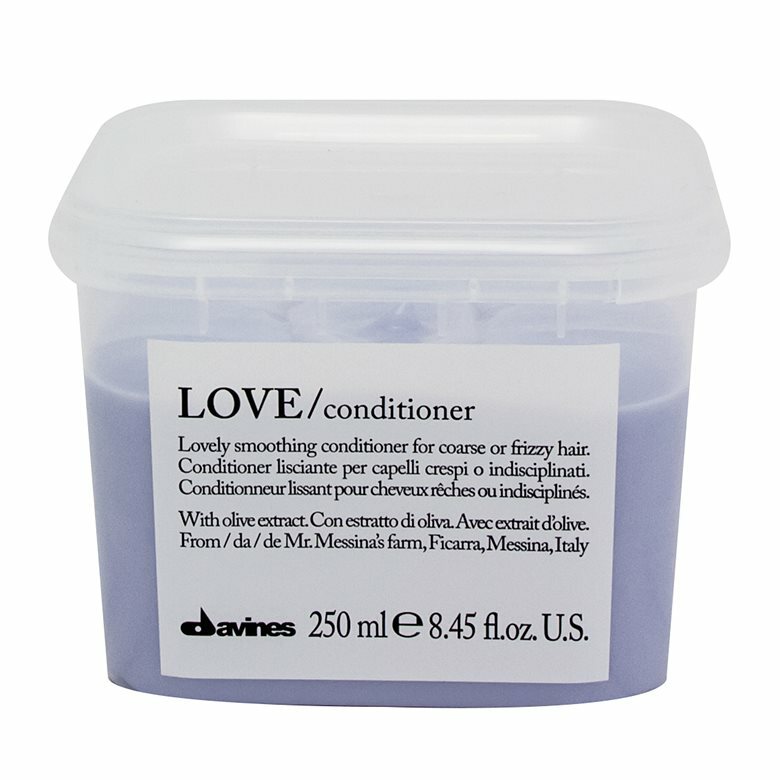 Richly moisturizing, LOVE Conditioner smoothes frizz, hydrates and helps restore elasticity with olive extract from Messina, Italy. Hair is quenched, shiny and bouncy. Minuta Olive: harvested from the farm of Mr. Caremlo Messina in Ficarra, Messina, Italy as part of Slow Food Presidium. Minuta Olive extract is abundant in fatty acids and Vitamin E, which are extremely nourishing, softening and moisturizing. For dehydrated hair. 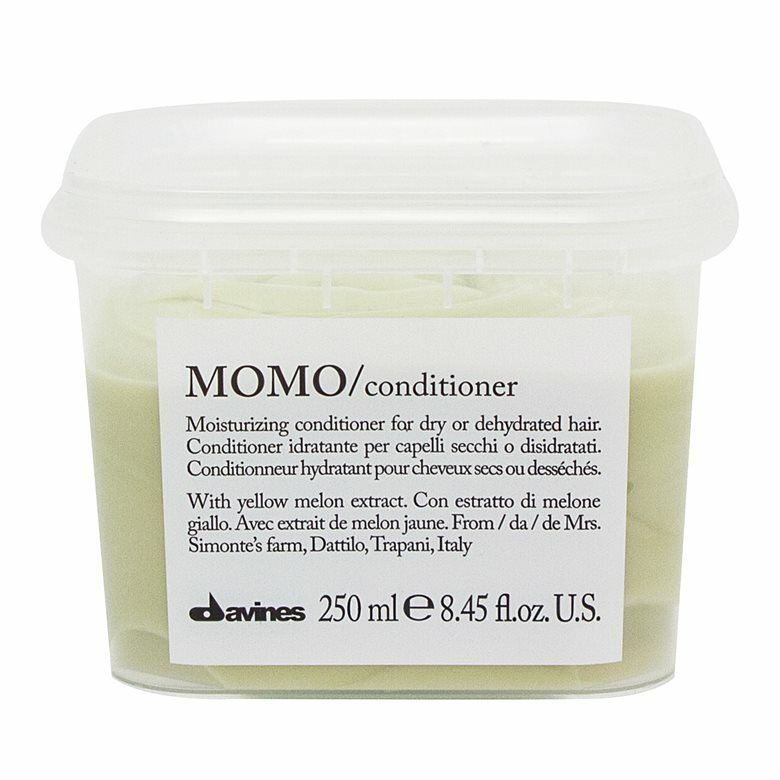 Hydrating and de-frizzing, MOMO Conditioner is ideal for detangling and smoothing frizzy hair. Hair is soft and moisturized without being weighed down. Cartucciaru Melon: grown on the farm of Mrs. Francesca Simonte from Dattilo, Trapani, Italy, as part of Slow Food Presidium. Cartucciaru Melon is extremely hydrating and contains Vitamin A and C, potassium, phosphorus and zinc. 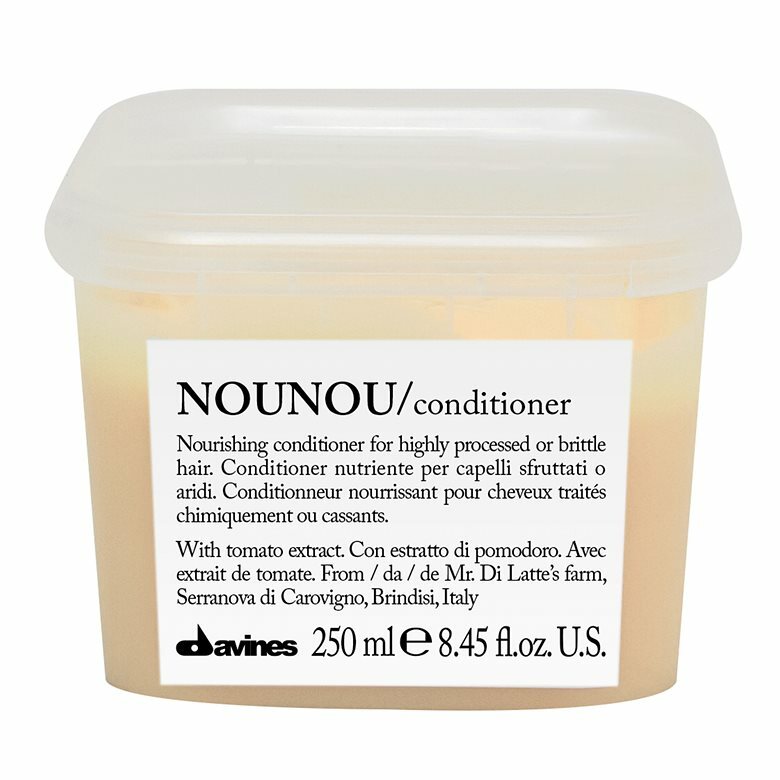 For damaged or very dry hair, NOUNOU Conditioner is formulated to gently detangle processed hair, leaving it soft and silky. Winner of Allure’s 2015 Best of Beauty Awards for damaged hair. Hair is deeply hydrated, replenished and softened. Fiaschetto tomato (from the Calemone Farm of Mr. Mario di Latte in Serranova, di Carovigno, Brindisi) are full of restorative and reparative antioxidants and Vitamin C.